So who is going????? I haven't missed this event in many many years and always look forward to it. Today I sent my donation to the event organizers along with my sponsorship paperwork and my wife is making the hotel reservations. If your attending, please stop by our vendor booth and say hi. 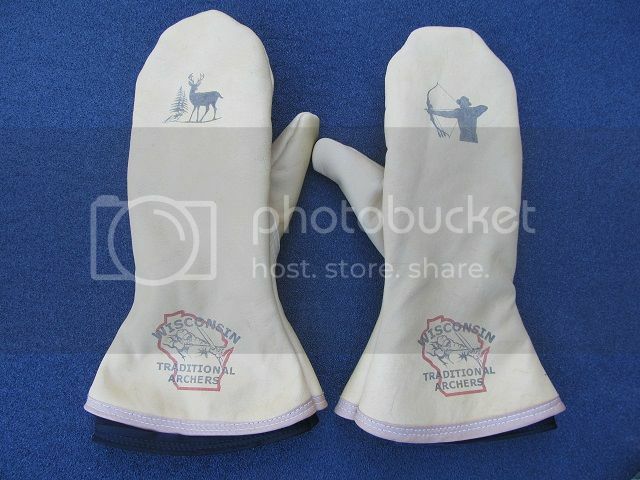 Here is a sneak peek at the Custom Elk skin chopper mitts with removable fleece liners that Im donating. 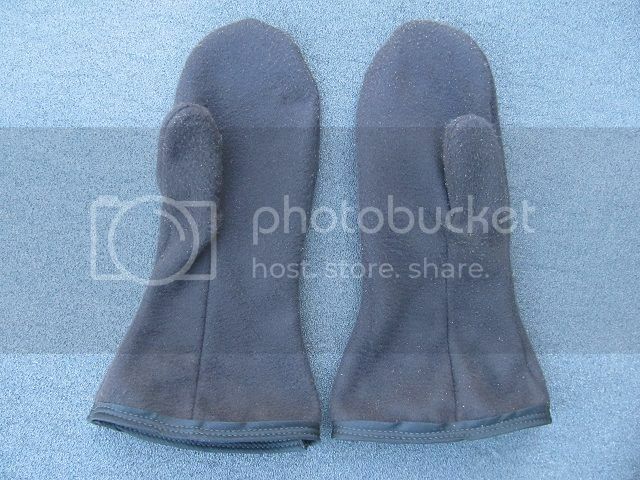 Another awesome pair of mitts again Ron. I am glad to hear that your wife will be joining you. I hope she enjoys it. As it Turns out, due to a Generous plane ticket purchased, i will be able to attend my first WTA banquet. I hope to meet some of you there. 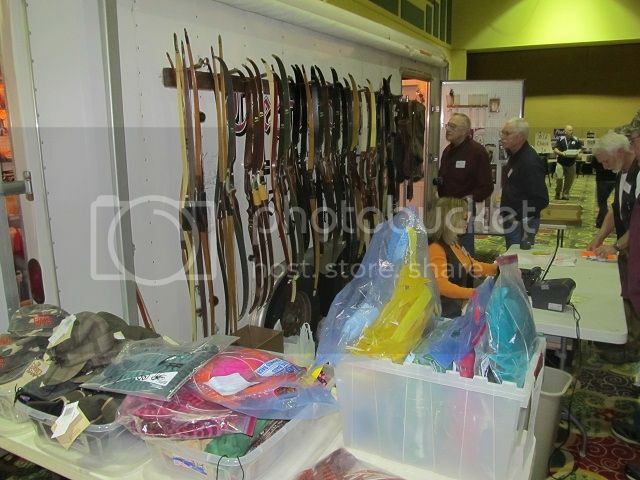 I will be helping my father at a vendor table to try and liquidate some of his massive archery Collection. Looking forward to meeting you Charlie. I am sure you will enjoy yourself. Charlie, hope to meet you ! I will be there most of the day. 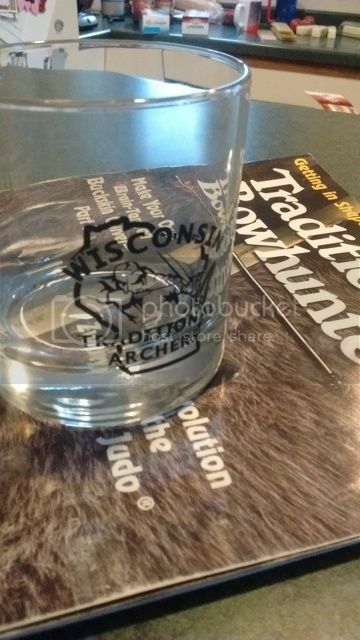 Debbie and I will be there along with two more couples from Big Foot Archers, Lake Geneva. See you all tomorrow. 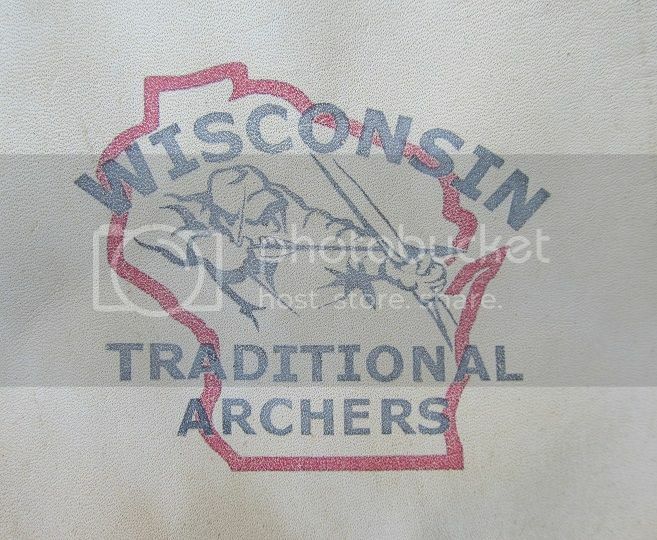 Spent the day at the Wisconsin Traditional Archers convention. 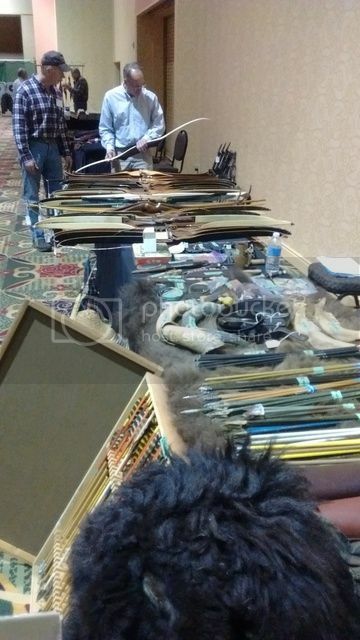 Had a vendor's booth for some of my items. 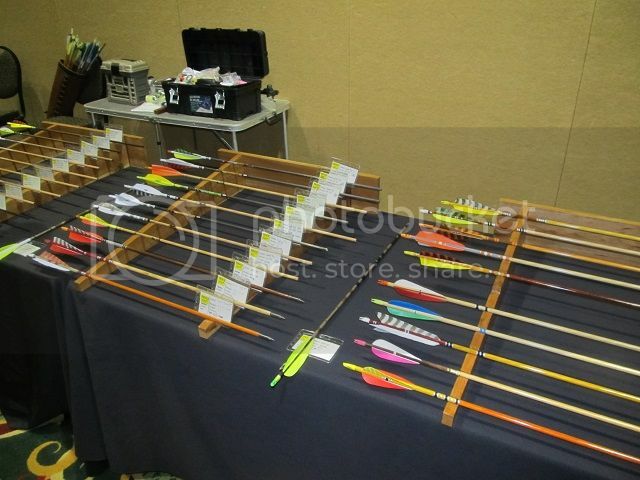 Bought 3 doz full length uncut yellow feathers, 3 doz red, 3 doz green so I think there is some arrow making in the future. Wow. That looks like fun. Thanks for posting the pics. Looks like the kids had some fun. 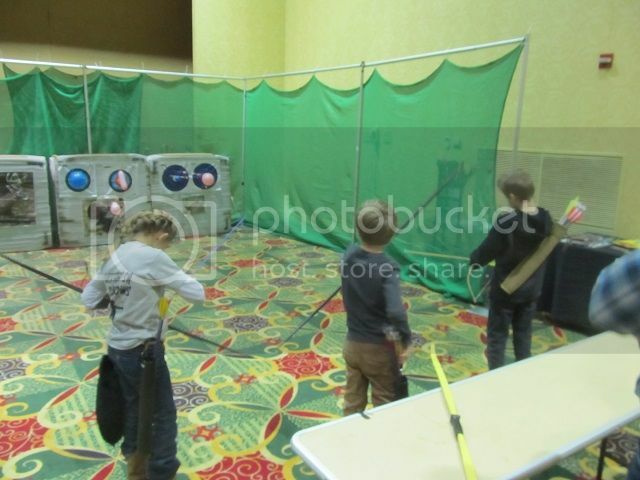 Thank you for the pictures,it's great seeing the kids shooting. I want to start out by thanking everyone that contributed in anyway to the banquet. The overwhelming support that we get just blows me away. Nice meeting you Charlie. I hope the banquet lived up to your expectations. I hope you make your way back to WI and we see more of you. 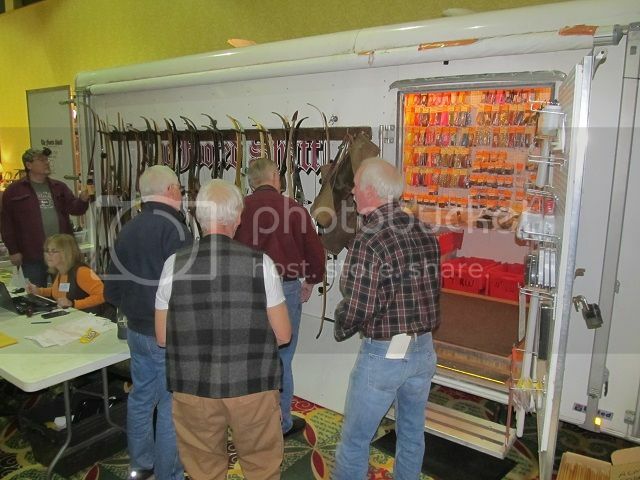 Thanks for posting the pics Ron. 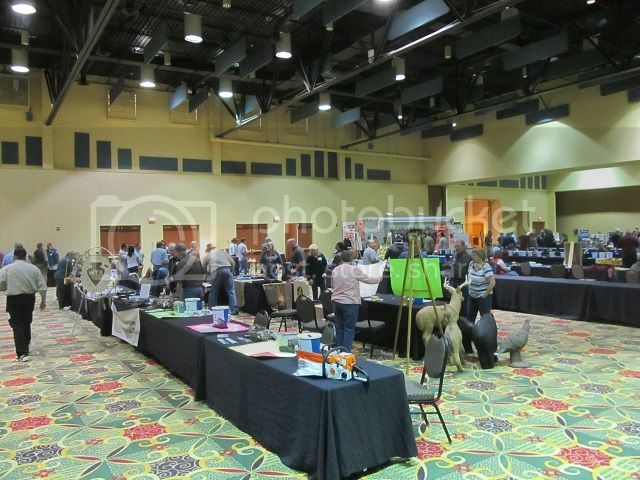 You got the bulk of vendor hall. It was a very busy day for me and many of the board members. I always enjoy meeting new members and catching up with friends. I hope everyone can make it back next for the 25th anniversary. We are already planning to make this on extra special. I have scratched auctioneer off of my list of potential careers but can make an exception here or there for a worthy cause. Another great Banquet as usual. Kudos to Greg and all those that made it possible! A great banquet and day on the floor. 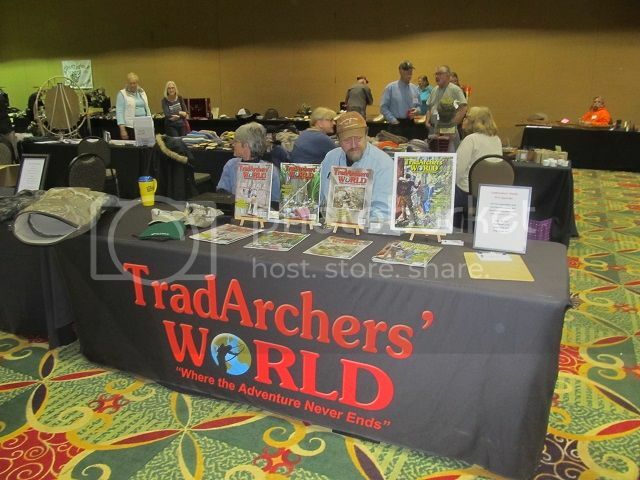 This one was well attended, and fun to meet and see so many people. 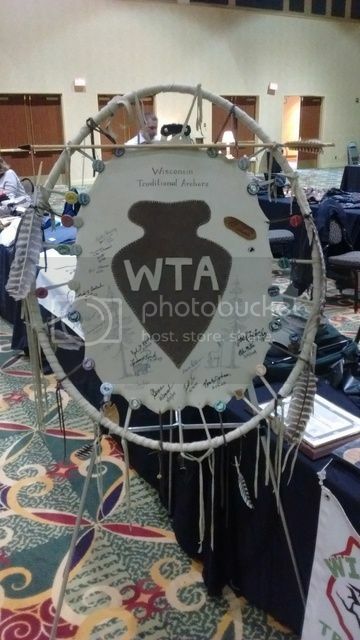 Another fine job by the WTA banquet committee. Charlie, it was great to meet you and sign you up as a WTA member. Thanks for that, and hope to see you next year. A good father-son event for sure. 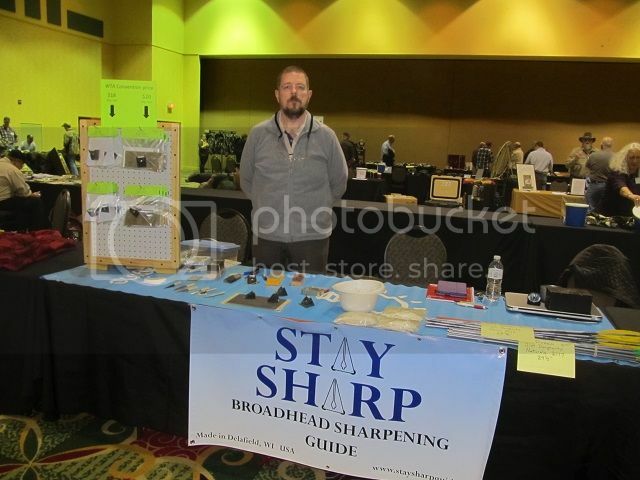 Ron- thanks for posting the pics AND for donating so many of your Stay Sharp products. They were well received. That's one of my girls shooting there. 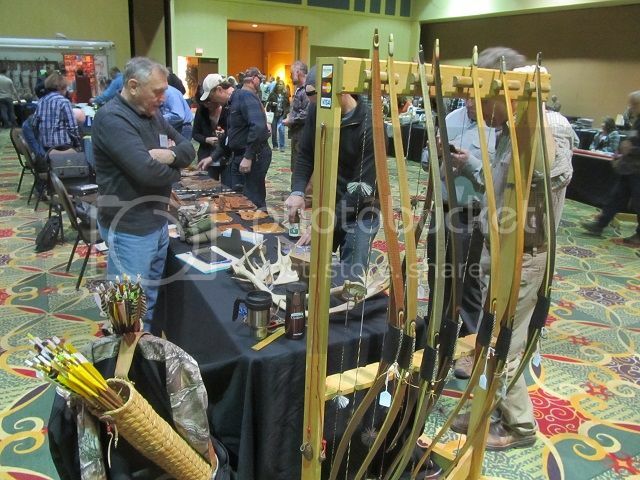 Aside from getting to meet and talk with fellow bowmen one of the best parts of the banquet is that it always rejuvenates my kids desire to shoot and get excited about archery. 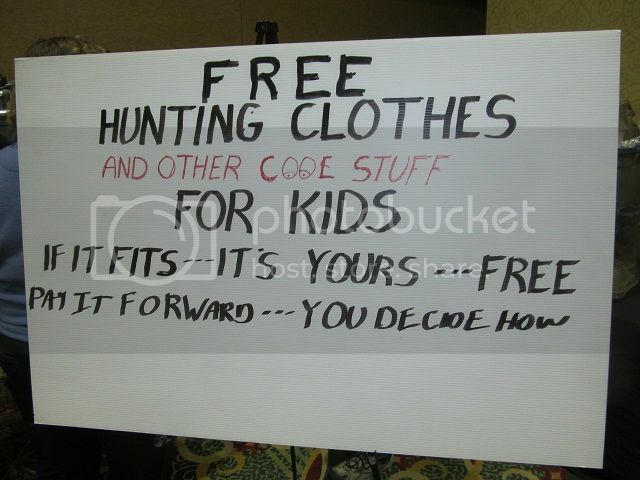 The WTA and its members really go out of their way for the kids (see the photo of the "free" stuff) and as a dad I believe it's time and money well spent. Thank you Greg and the rest of the folks for making it another great occasion. Thank you Greg and WTA, I had a wonderful time. It was great to put some names with faces from people I have talked with for the past several years. 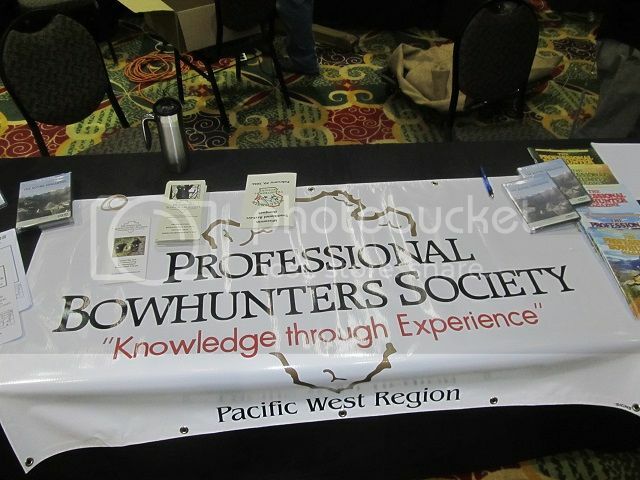 It was also nice to meet new people as well from both PBS and WTA. I hope to be able to make it back again next year with a little better planning on my part. I am happy I didn't win anything lol. The plane ride home had my arms full up enough. 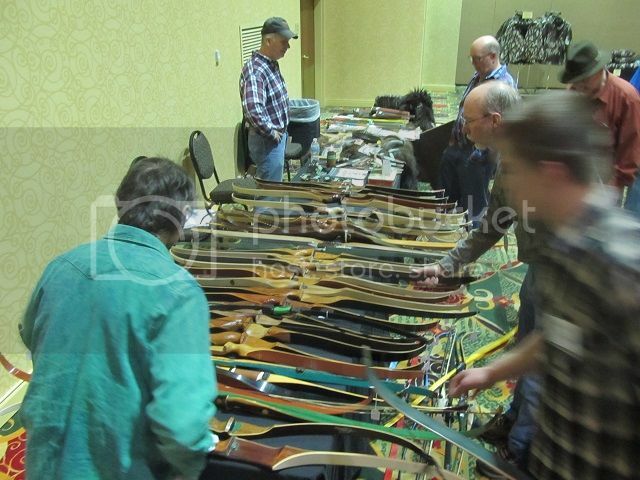 Besides, I dont think that chain saw would have been allowed as a carry on Ha. I was a little disappointed that I didn't meet a few guys I was hoping would be there but I fully understand many guys have busy schedules and there is always next time. I'm back in NY now and already I drive past people who dont wave back while driving out in the country. It amazes me how a 1000 miles can change things. Its like I'm in a different country. I'll post some pictures later. I'll try not to duplicate any already posted. 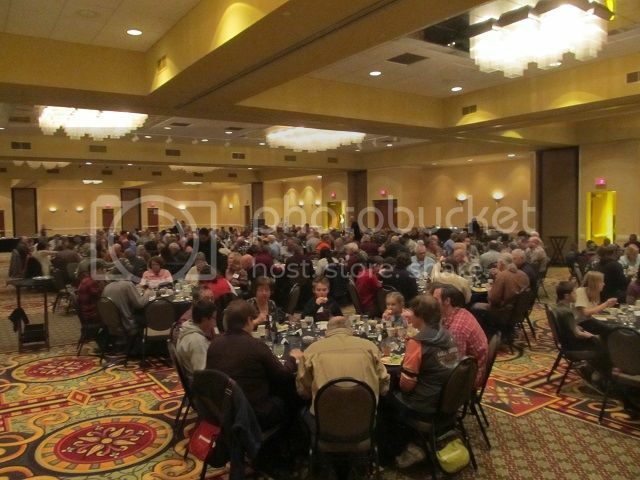 Thanks again to everyone who have contributed to such a nice banquet. 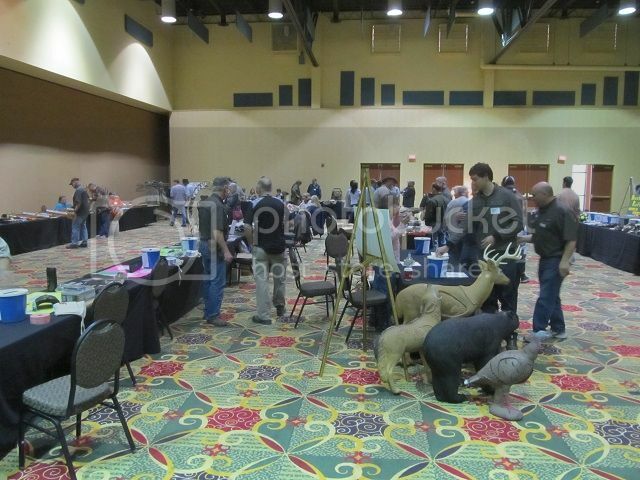 Greg, dont be too hard on yourself about the auctioneer. Although we had a good chuckle, you were effective. 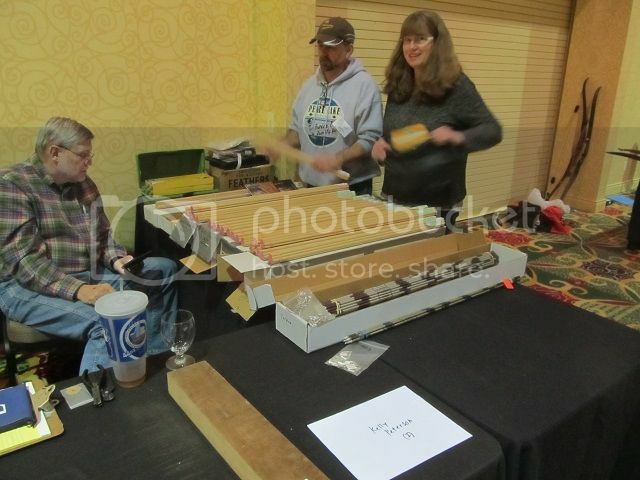 If needed and you are in a pinch I can try as an auctioneer in the future so you can laugh right back at me. I cannot promise better results. I don't mind taking one for the team. The bidding was good so it was well worth it. I'm having issues with photobucket but will post the few I can.